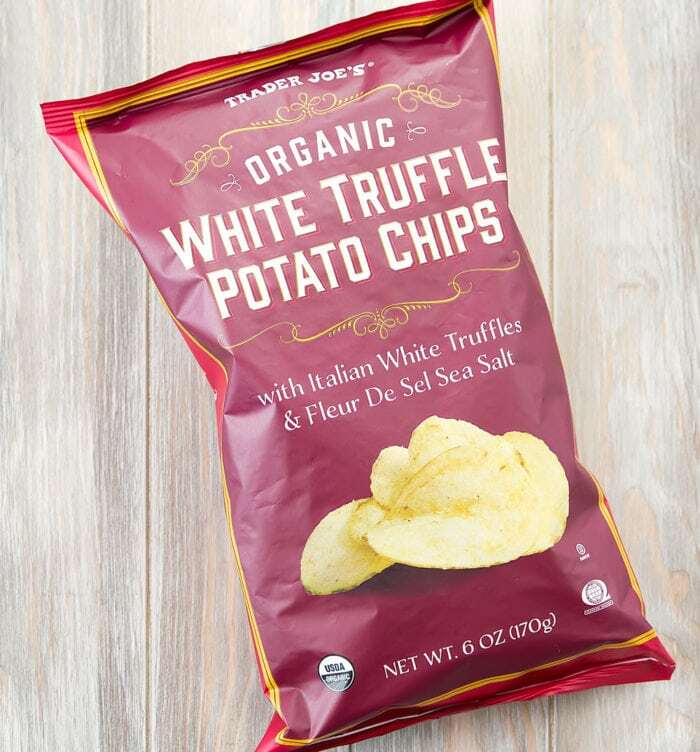 I recently went to Trader Joe’s to try some of their new products. The January Fearless Flyer is a meal planner and features mainly old favorite products. But I still was able to pick up a few new things. This was the main purpose of my visit after seeing Trader Joe’s feature it on their social media. 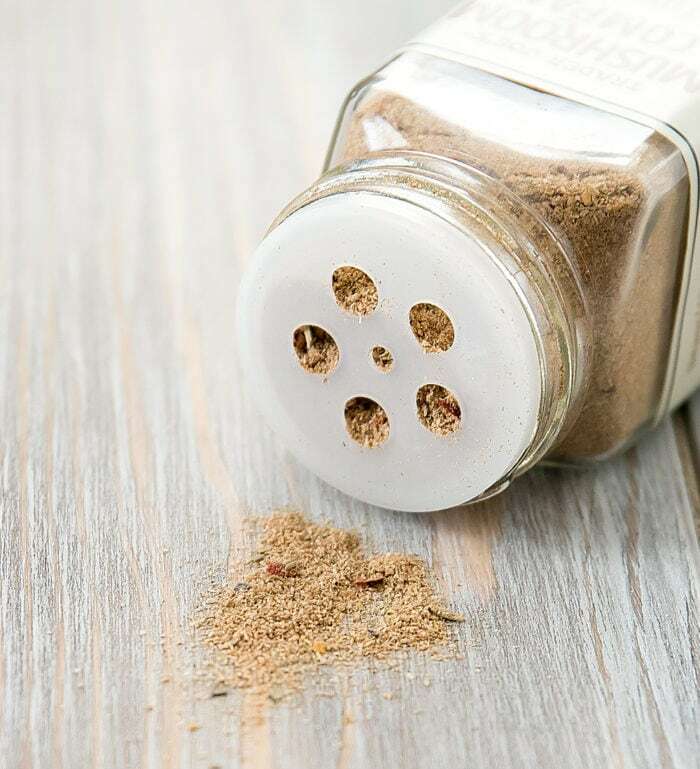 The seasoning blend is made up of salt, dried onions, ground mustard seed, porcini mushroom powder, white button mushroom powder, crushed red pepper, black pepper, and dried thyme. I’ve used the blend a few times now and I really like it. 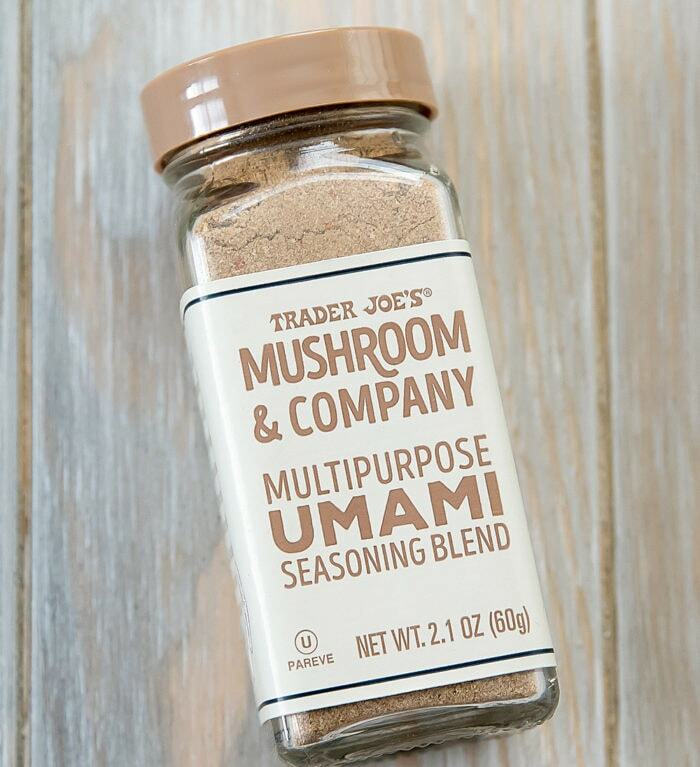 It’s savory, salty, mushroomy. It does add another level of flavor to any food you use it on. I especially like using it on scrambled eggs and avocado toast. I plan on going back to stock up on a few more bottles soon. I like rolled tortilla chips because of how crunchy they are. These are super crunchy and have a light coating of chili & lime flavor that isn’t too spicy. I’ve enjoyed snacking on them. Mr. K thought they were too crunchy and a little hard on his teeth. 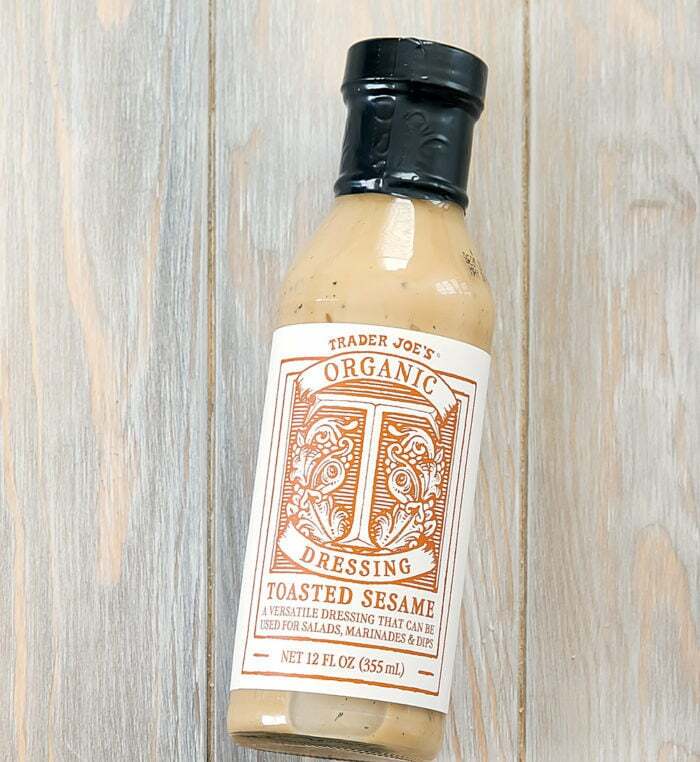 We’ve been a big fan of Trader Joe’s Sesame Soy Ginger Vinaigrette, so we were excited to try this one. This dressing tastes similar to the Sesame Soy Ginger Vinaigrette but with a stronger sesame flavor. The sesame paste adds a rich, nutty flavor to the dressing. It’s quite tasty though it is a lot higher in calories and fat compared to the vinaigrette. Not a new item, but it was featured during the holidays. I didn’t get it then but was reminded about them after my December post, so I had to go back for them. 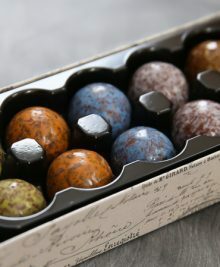 They have a very strong truffle aroma. I do wish they were slightly crisper, but overall I enjoy them. 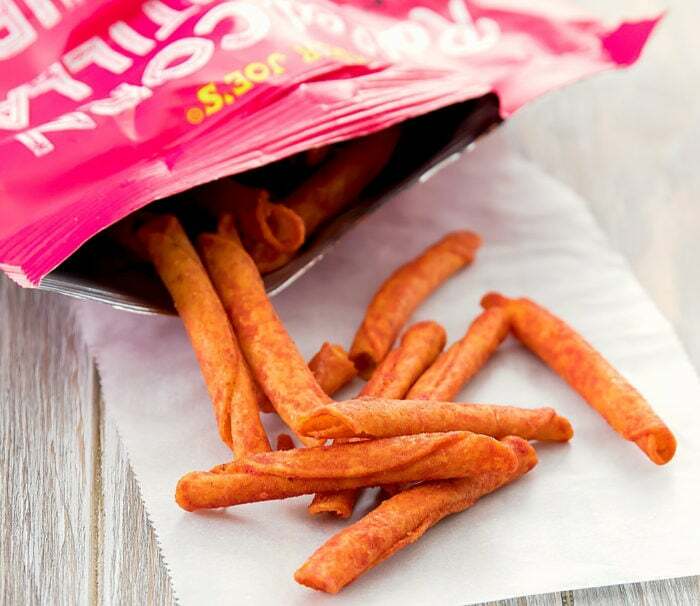 Not a new item but one that has grown on me and become one of our favorite snacks. We always pick up several bags. 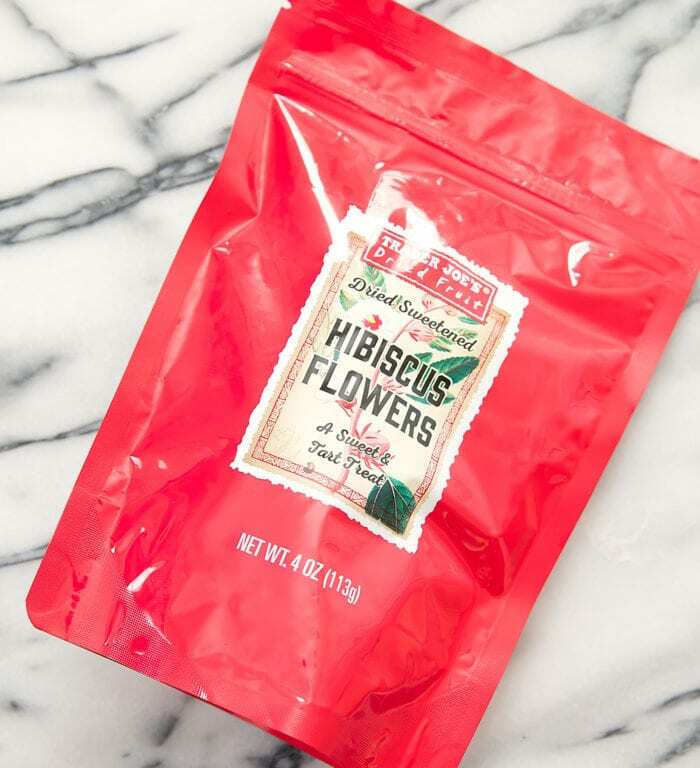 Dried hibiscus is not easy to find, so I’m happy they have it at Trader Joe’s. The dried blossoms are both sweet and tangy. That’s all for now! As always, please let me know if you have any products you think I need to try. I love trying new foods! You can also find all my past Trader Joe’s posts here. I would love to try that seasoning powder. Especially when you mentioned you put it on your eggs. 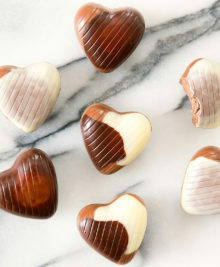 My mouth is already watering, ha ha. 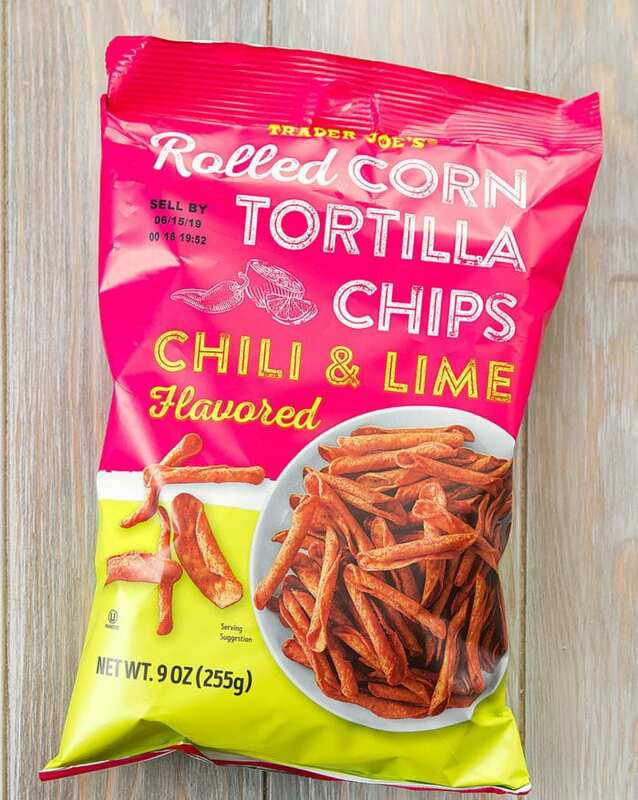 Those rolled chips look like TJ’s version of Mexican Takis. They do tend to be kind of hard. Dried hibiscus flowers or “jamaica” can be found at a lot of Mexican Markets like Northgate, Vallarta, Carnival and Pancho Villa. I stand corrected about the hibiscus flowers. I didn’t realize they were sweetened. The ones found at Mexican grocert stores are just the dried kind and I believe they use those to make tea or punch. 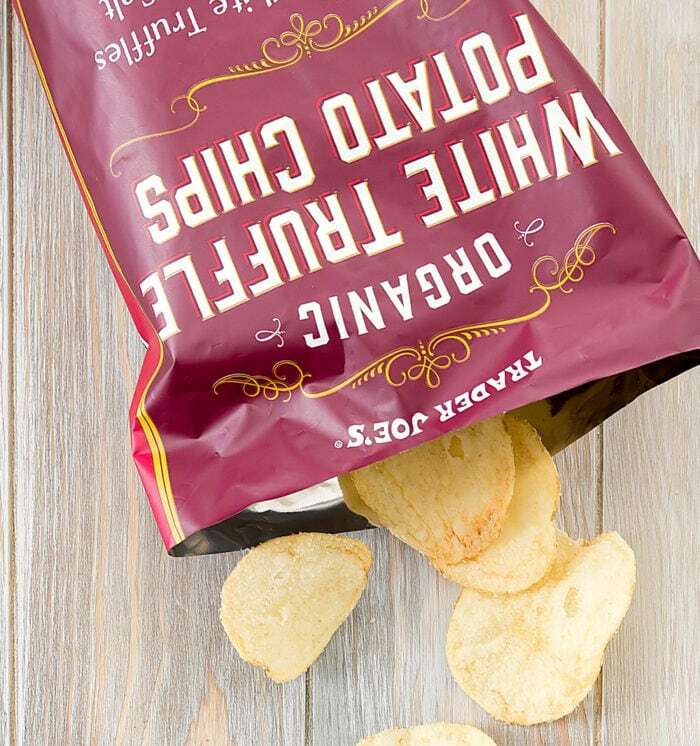 This is certainly an interesting snack that I would be willing to give it a try. Glad you mentioned this product. I haven’t seen the hibiscus flowers, but also wasn’t really looking for them- that sounds like such an interesting snack! And i do love the flavor of hibiscus tea. That new sesame dressing is delicious!! But yeah, definitely higher calories so I’m not sure it will be a regular purchase. 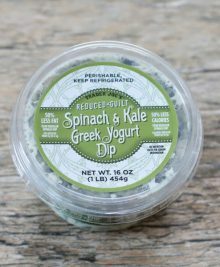 The dressing i do love a lot is the refrigerated goddess dressing that’s fairly new, it’s freaking delicious and surprisingly low cal. I will have to try the goddess dressing!